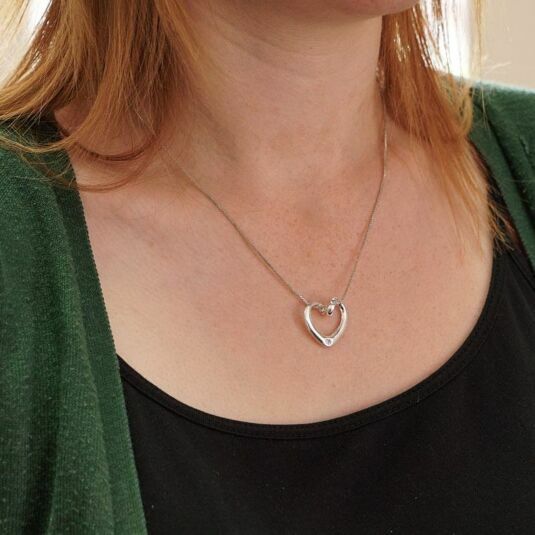 This delicate silver-plated piece is intricately detailed with a subtly bejewelled silver heart, adding a classic feel to any outfit – formal or informal. 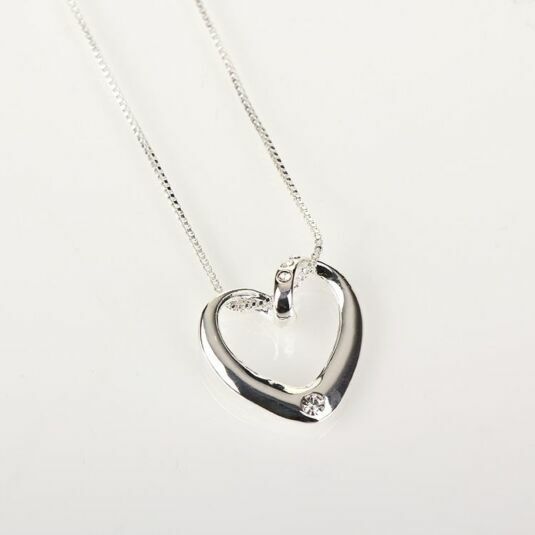 Almost weightless, this necklace holds a 48cm silver link chain, to hang the focal heart. 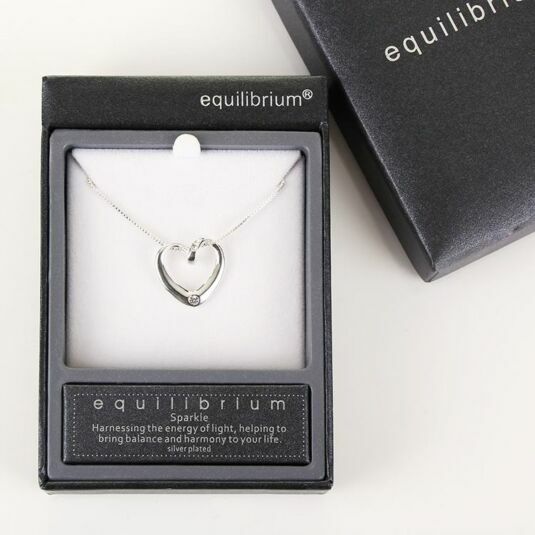 Fastened using the simple hook and clip mechanism, and finished with a silver rear hanging Equilibrium emblem, this platinum necklace will make the perfect and most precious gift a woman could ask for.